Diamond… Certainly there is no person who doesn't know what that is. Though famed and praised by jewelry houses as a glittering decoration that represents secret desire of many women, I look at the diamond in completely different way. I observe it in the context of origin because, as you know, diamond is the hardest and infrangible material created by the pressure under which it's amazing beauty is formed. Precisely for that the statements like „You are diamond dear, they can't break you“ or „Remember, diamonds are created under pressure“ helped me through difficult times of my life and served as a guiding light toward better tomorrow, to become a stronger person. This is also an essential reason why I like diamond details and why I was indescribably thrilled with Paco Rabanne Lady Million perfume in the gold-colored diamond shaped bottle that evokes luxury and pageantry. 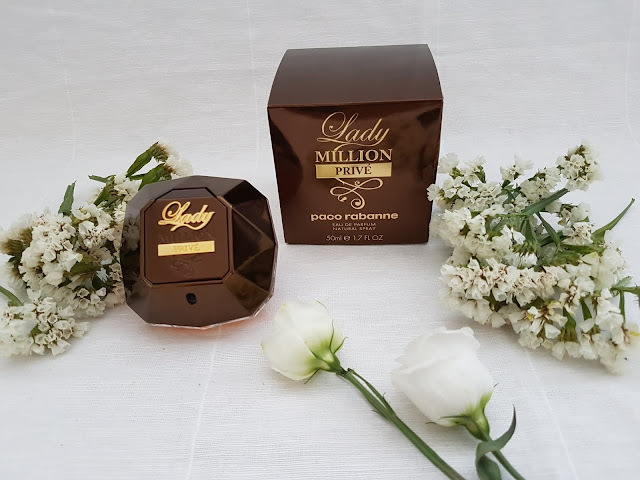 I adored this perfume, up until 2016. when the new version in oriental-flower category, Lady Million Privé, was promoted and whose scent fascinated me even more. The perfumer Anne Flipo designed this deeply sensual fragrance of enchanting and irresistable woman, that opens with orange flower and wooden notes, followed by heliotrope, vanilla and raspberry at the heart of the perfume, and all laid on a warm base of patchouli, cocoa and honey. 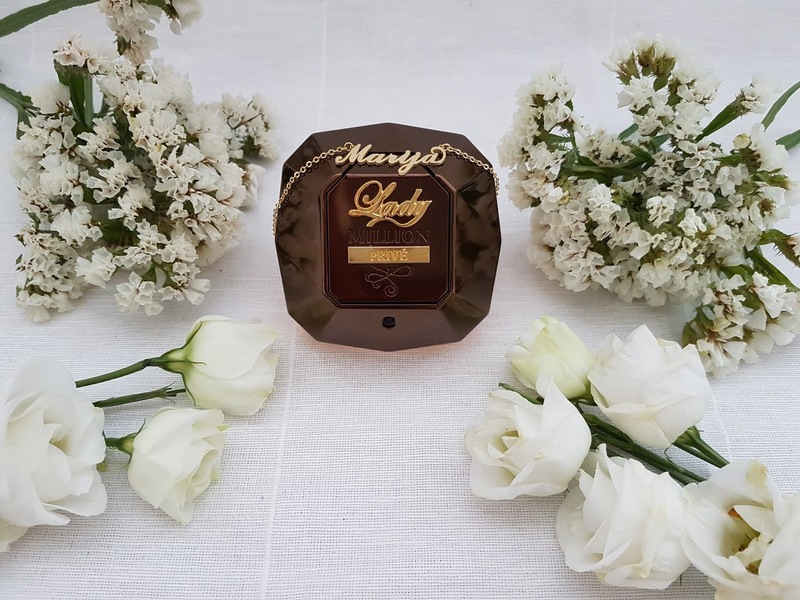 The extremely long-lasting composition just hypnotizes, as well as the richness and power that the scent successfully symbolizes. With this edition Lady Million Privé introduces gold decorated with fine patina, painted on the bottles in dark and intense amber shades. 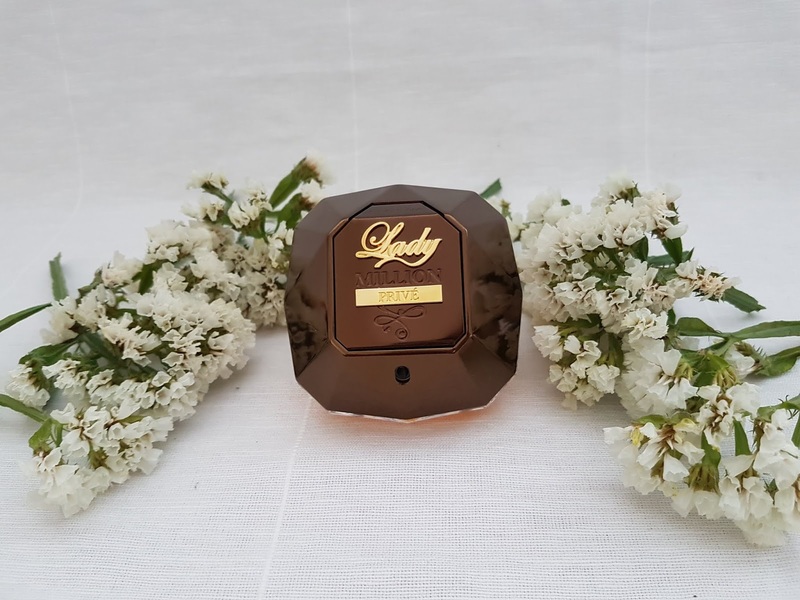 To say that I love this perfume is an understatement, it's absolutely charming and ravishing and I can use it throughout the year, although I prefer to wear it during colder days and in early spring. 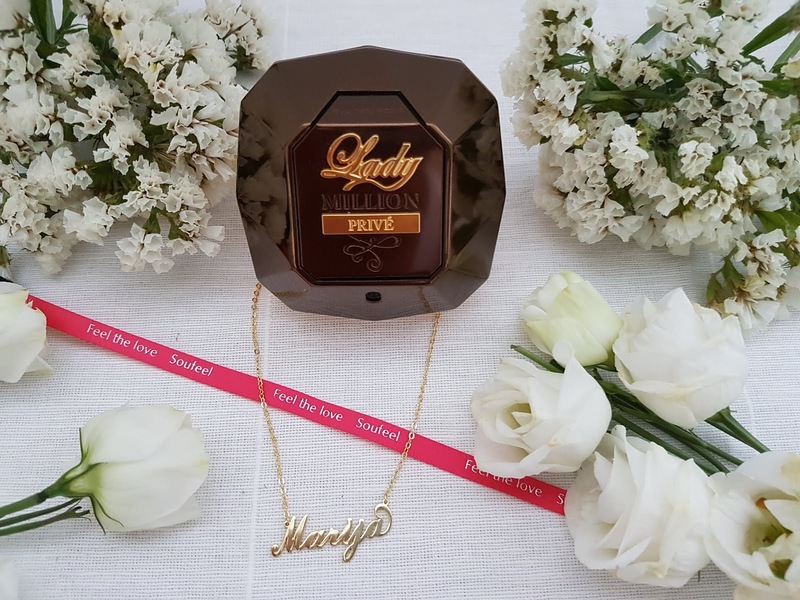 If you are interested and wish to, along with the perfume, spice up your looks with a delightful personalized necklace with your name on it, you can always do it on Soufeel site. 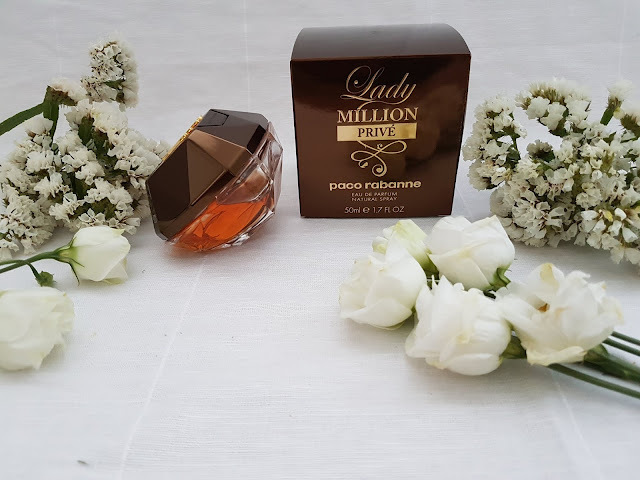 Have you tried Lady Million Privé? Or the classic, original Lady Million? What are your impressions? Perfume looks so amazing, love to try this, the last photo with neckless looks so sweet. I'm glad to hear that you like photo and perfume because this Lady Million Prive is gorgeous.